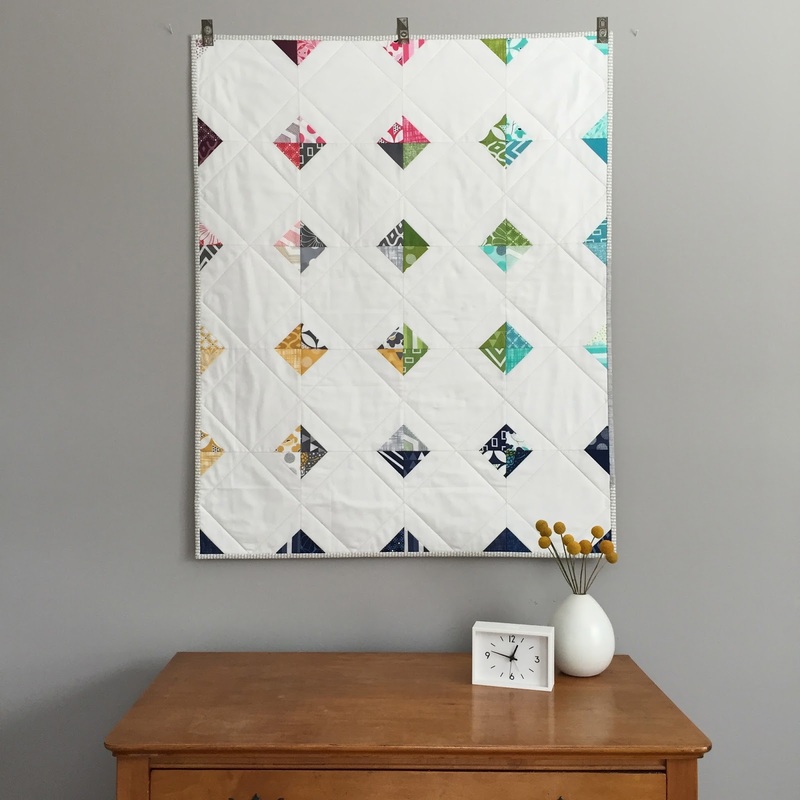 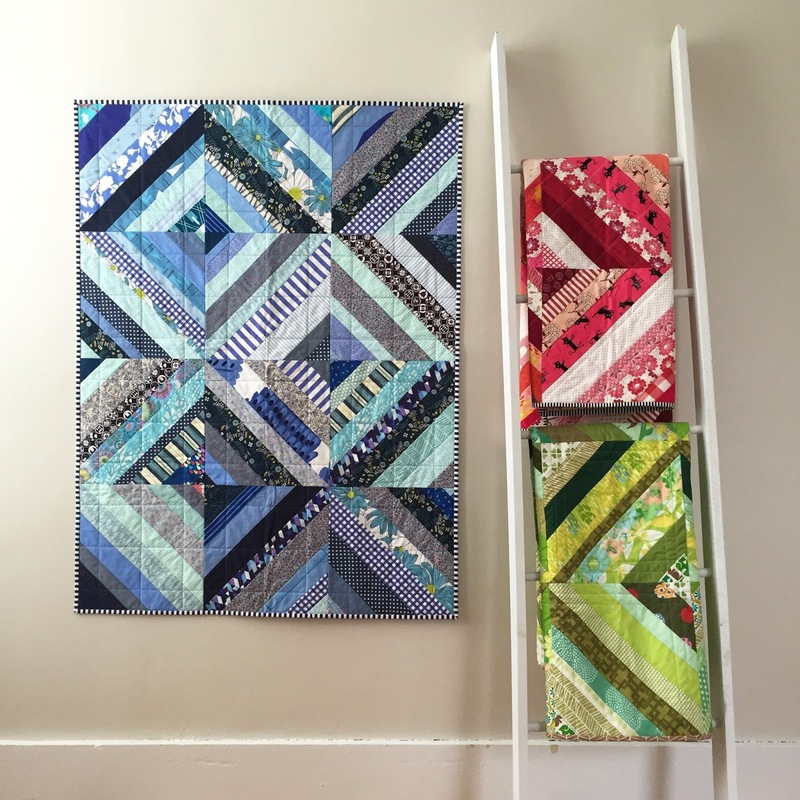 In addition to the oversized log cabin and Amish hourglass quilts I made for The Maker's Waypost (which opened this past Saturday! 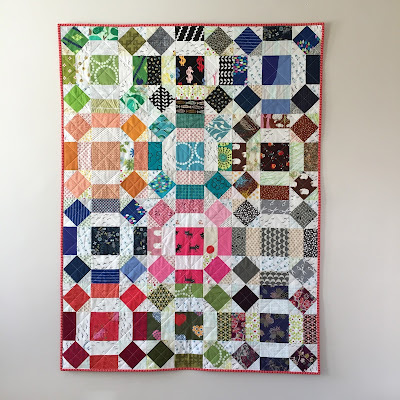 ), I also completed a small throw, featuring a colorful assortment of Rolling Stone blocks. 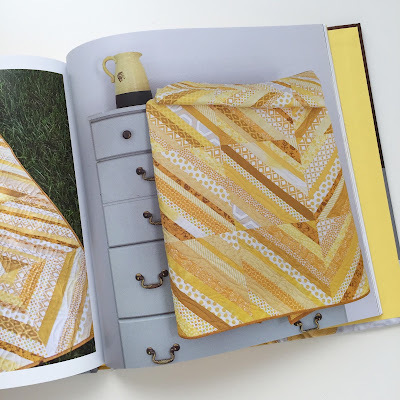 Have you seen Vanessa Christenson's Simply Color books for Lucky Spool? 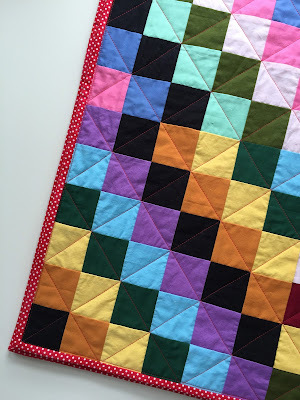 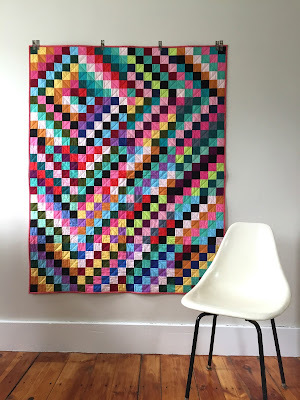 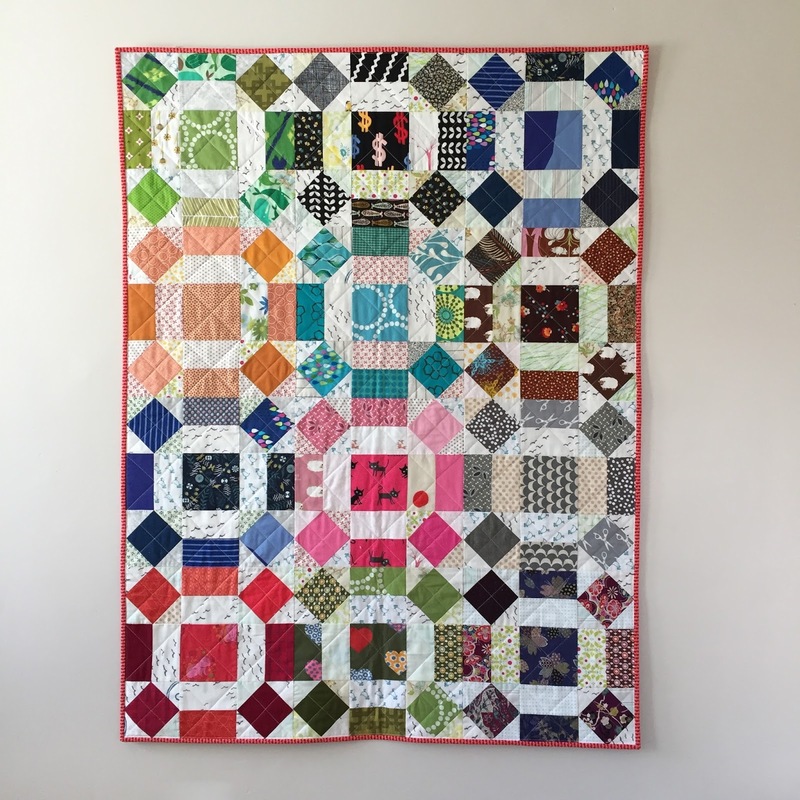 Each one is dedicated to a color (red, orange, yellow, green, blue, and purple) and contains a bit of color theory about that color, as well as a handful of sewing projects made from the featured hue.